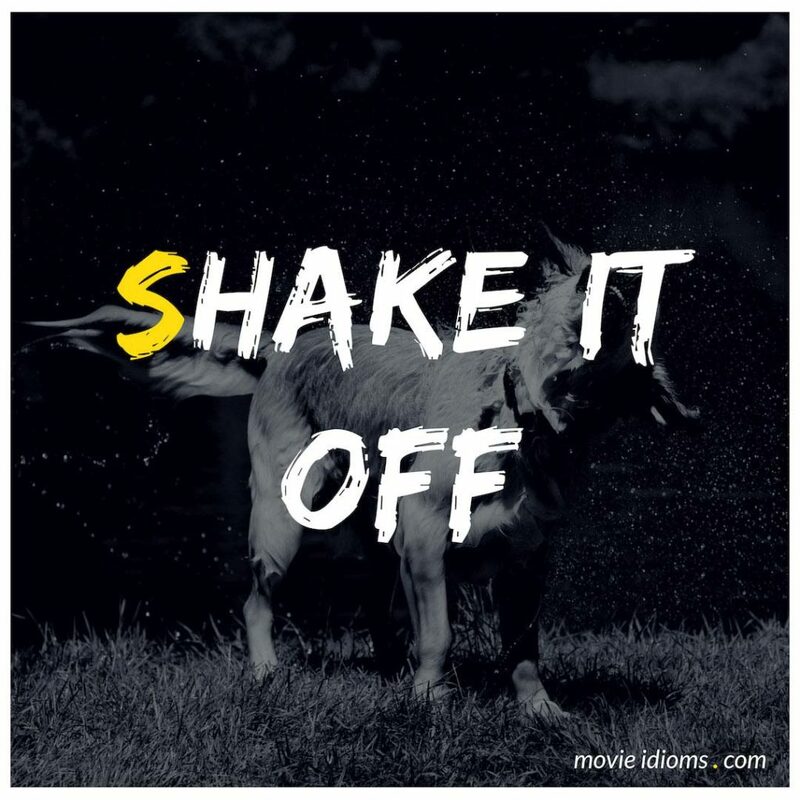 What does shake it off mean? Jessica Warren: Didn’t you also break some vials? Dr. Camille Saroyan: You are aware that all of this comes out of your paycheck, right? Carrie McLaughlin: Why don’t you just go back to not talking to me again? Toby: Shake it off, Cowboy. I’ve still got some anti-venom left if you need it. Eddie Valiant: Only that there is no business like it. No business I know. R.K. Maroon: Yeah. And there’s no business more expensive. I’m 25 grand over budget on the latest Baby Herman cartoon. You’ve seen the rabbit blowing his lines. He can’t keep his mind on his job. You know why? R.K. Maroon: Nah. He’s a toon. You can drop anything you want on his head. He’ll shake it off. But break his heart, goes to pieces just like you and me.